Rick Reeves of Southaven with Samson, the 16-point he killed Nov. 18 on public land somewhere in North Mississippi. 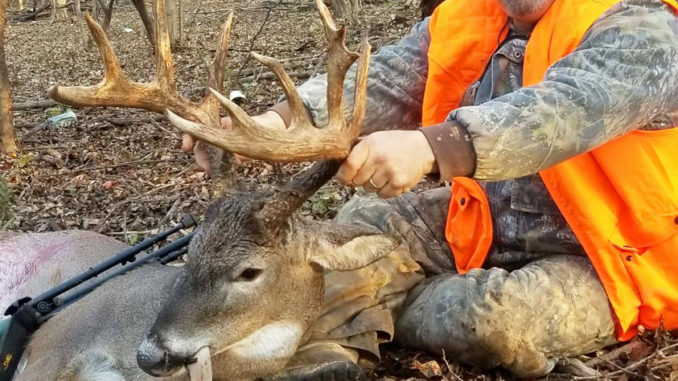 They have pictures of Samson from the past three seasons, watching the trophy grow to a massive 19-point buck pushing 300 pounds to a much-lighter 16-point this year. That they’ve had the human-buck relationship is not rare; it happens throughout Mississippi all the time since the advent of trail-cam technology. Many hunters have photos of deer they’ve watched mature for several years. 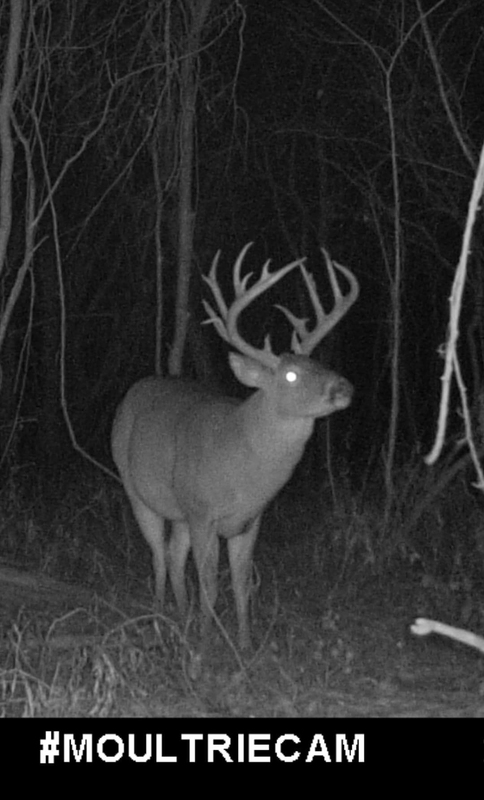 This trail cam photo captured Samson at his peak during the 2017-18 season last year. What is rare is that this buck lived on public land, and died there, too, when Rick Reeves shot him on the opening weekend of the gun season. That hunters can track a deer that long on public land is, well, amazing. After the miss, Samson became a recluse. They never saw him again, at least not with the naked eye, and rarely on camera. The outdoors have been good for Nathanael, said his dad who realizes just how important hunting and fishing have been for his son. The father got his reward for his steering efforts on Nov. 18, when he was in a stand and Samson finally made another mistake. His son had put him in an area near where a camera had captured Samson the week before tending a doe. He pulled the trigger, then watched Samson take off. But, alas, Samson had left no blood trail. “When I walked up to look for blood, I saw that I had shot through a small branch,” Reeves said. “I shot about 75 to 100 yards in thick brush. My heart dropped. I had thought about taking Nathanael’s 300, but didn’t. I looked for blood and hair … nothing. Didn’t matter; Nathanael found the buck, and fortunately had come on his bigger UTV, a Can Am 1000. Even though Samson was smaller than the previous years, he was still substantial. Rick Reeves (left) with his son Nathanael Reeves and Samson. The son put dad on the big buck they’d been after for several years and on Nov. 18, Samson went down to Rick’s bullet. 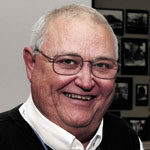 When asked which public land produced Samson, Reeves was reluctant. “Public land, in North Mississippi,” is all he said. And, who can blame him?